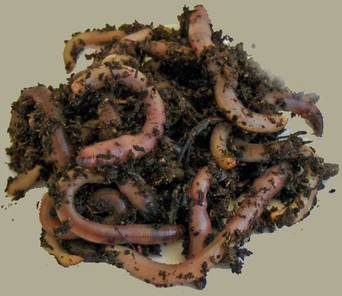 Our Red Worms (Red Wigglers) and European Nightcrawlers are fat, juicy and active because we feed a high quality, nutritious diet and pamper them shamelessly. 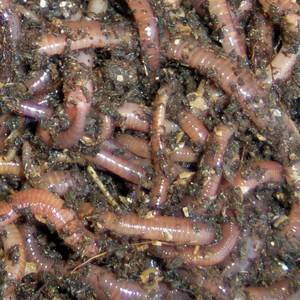 When you order our worms, the little darlings are carefully hand-picked and placed in moist peat moss with our special "shipping compound". Then the worms are lovingly packed into special breathable cups or bags and speedily shipped safely to you. Description of this wonderful worm. How To Care For European Nightcrawlers. The many functions of this great worm. Description and history of this great composter. Information on worm bedding, feeding, care. This versatile worm has multiple uses. How To Start Your Own Worm Farm. 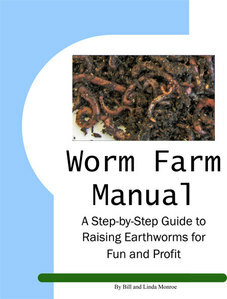 Find out what's in our worm farming manual. Download or hard copy available.